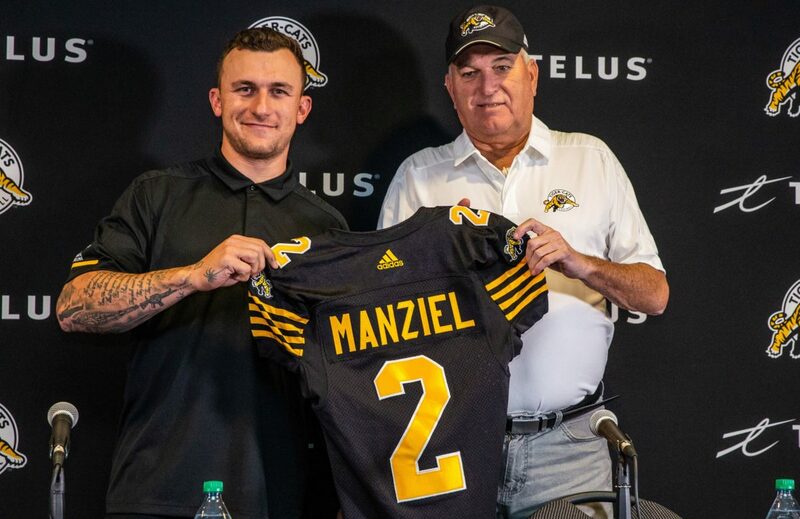 The Hamilton Tiger-Cats announced Saturday the football club has signed international free agent quarterback Johnny Manziel to a two-year contract. Manziel, 25, played in 14 games – starting eight – for the National Football League’s Cleveland Browns in 2014 and 2015 before being released March 11, 2016. The 6-0, 210-pound quarterback registered 147 pass completions on 258 attempts for 1,675 yards, seven touchdowns and seven interceptions, and added 46 rushing attempts for 259 yards and one touchdown. The native of Tyler, Texas, was originally selected by Cleveland in the first round, 22nd overall in the 2014 NFL Draft. He most recently participated in The Spring League in April 2018. Prior to turning pro, Manziel played two seasons (2012-2013) at Texas A&M University. In 26 career collegiate games with the Aggies, he completed 595 of 863 pass attempts for 7,820 yards, 63 touchdowns and 22 interceptions, and added 345 carries for 2,169 rushing yards and 30 touchdowns. In 2012, Manziel became the first freshman to win the Heisman Trophy (Most Outstanding Player), Davey O’Brien Award (best National Collegiate Athletic Association quarterback selected by the Davey O’Brien Foundation) and Manning Award (best collegiate American football quarterback selected by the Sugar Bowl Committee).